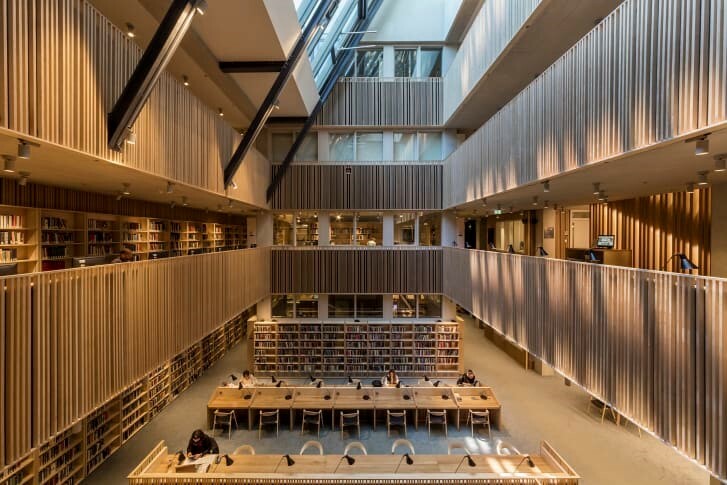 The highly regarded Central European University (CEU) recently completed a new building in downtown Budapest which was named among the four finalists in the Royal Institute of British Architects International Prize, an award honoring the world’s best new buildings. 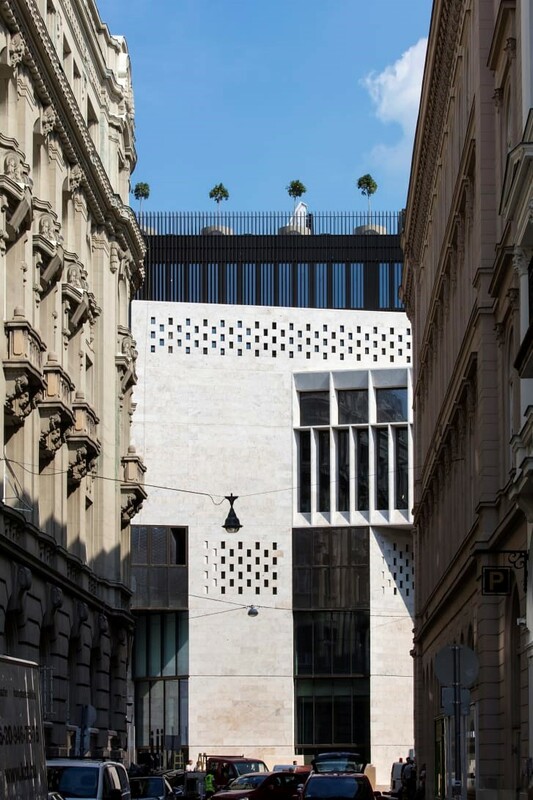 The new structure is considered “a triumph of contextual architecture — a mixture of new and refurbished structures that delicately nod to the city’s past.” CEU hired clever architects, Sheila O’Donnell and John Tuomey and the team created something special. US Ambassador David Cornstein expressed displeasure with the Hungarian actions. We urge him to put the Orbán government on notice and make it clear that forcing the closure of CEU, a US accredited institution will seriously damage Hungarian-US relations. I can assure Amb. Cornstein that the vast majority of Hungarian Americans support CEU and are appalled by the actions of the Orbán government. 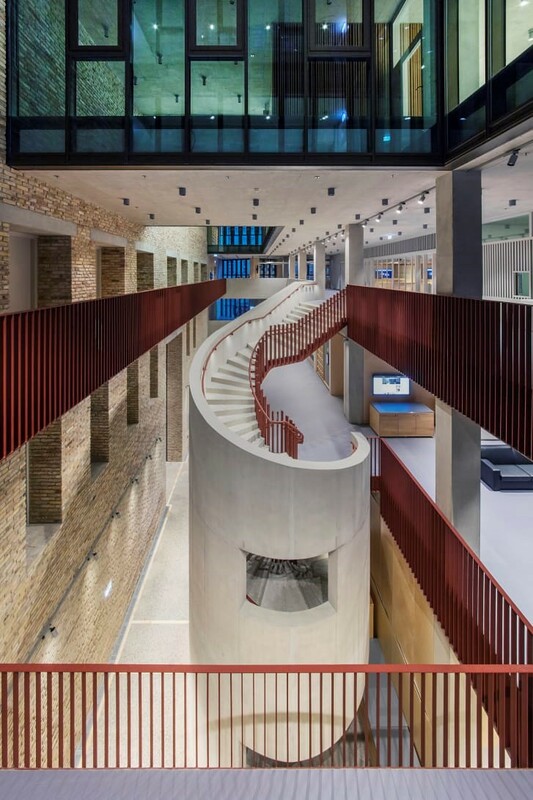 Here are some photos of the award winning building. No one asks the question why are other foreign university have no problem operating in Hungary? CEU has been against obeying the laws. CEU did not make it in the top 500 universities. Think before condemning the Hungarian government. In 2017, the last year I could find data for, CEU ranked 160 in Europe and in the top 350 globally. For such a young institution, that is very impressive. Also, both rankings are higher than any other Hungarian university. CEU is in compliance with a law that targeted them. They did all the government asked. Think before posting complete nonsense. Yes, we discussed the value of CEU before. You keep repeating the same, so I should remind you of some of that conversation then as well. I do not dispute that CEU is good at what it does. But what it does has little use to society on balance, nor is it a service to the students who attend. Yes, there are a few examples of CEU graduates in high positions. But overall most graduates are useless to society. No doctors, engineers, nurses, geologists, physicists, dentists, biologists, chemists and so on and so on. Ideological agitators on the other hand? They produce them by the campus load! Now, my personal opinion of all Western higher ed institutions is that their primary goal has become ideological indoctrination of the students, and thus of society through them, with the useful aspect to society and to the students themselves, actually being in second place. But in the case of CEU, the secondary aspect is missing altogether. Yeah yeah yeah all we need is engineers, doctors, etc. Never mind that applied mathematics is required for work in medical imaging device design, earthquake detection methods, hurricane prediction, etc., etc. Just because you didn’t need them in construction , doesn’t mean their degrees are not useful in some other field. There’s a whole real world out there that Joe seems to know little about and I as a supposedly “cloistered” academic do. In academia, I have been exposed to how knowledge from many fields can be applied in diverse areas of the human enterprise. Joe cannot imagine how fields he knows little to nothing about might enrich and improve the human experience. What a boring little world he must live in to think that human knowledge should only progress along routes that apply to traditional applied vocations. And what do institutions of higher learning do if not study and try and understand the real world. Joe posted a bulletin board thread by some applied mathematicians who were complaining about poor job prospects. Look at the date of the thread – 2012 – during a recession. One of the comments in that thread included this “Also, it is well know that at the moments jobs are particularly difficult to find, particularly for young people with little or no work experience. Any anecdotal evidence should be carefully considered.” This was true of all fields at the time and there were many people with what Joe would consider useful degrees who were unable to find work. I also know that applied mathematicians can work in modeling of wildlife populations, ecosystems processes, climate, and other areas where math is applied to analyzing and predicting the behavior of complex systems. Joe you always say demonstratively false things. Spare yourself the embarrassment and do some background research. Then maybe you wouldn’t do something stupid like disparaging an applied mathematics degree. Key word is “can”. Yes they could, but the question here is how likely it is that they will? For pretty much any CEU degree you can write a long list of “can”. But then if you look at under employment for most of those fields…..
“But then if you look at under employment for most of those fields…..” But Joe didn’t. Fields with higher underemployment rates than Mathematics, include: Biology, Chemistry, Biochemsitry, and Physics. Seems you CAN do a lot with a math degree. Majors that have higher underemployment than Ethnic Studies, Sociology, History, Political Science, Psychology, Philosophy include: Marketing, Business Management, and General Business. Source: Jan. 2018, U.S. Census Bureau, American Community Survey (IPUMS). Yes Joe did! He did not claim that there are no degrees with higher under-employment than those offered by CEU, but rather that none of the fields CEU offers make it on to the list where there is low under-employment, such as engineering or nursing for instance. Meanwhile, in China they are celebrating the inauguration of the longest bridge on earth, implementing their Eurasian trillion dollar transport route plan and so on. Muhhh, because the CEU is in Hungary, China can build the largest bridge in the world … muhhh … Joe, when the Jews were deported by Horthy’s aliens police to Kamenetz-Podolsk, there were also Hungarians. Maybe China has given the order or blackmailed Horthy with Chinese economic output. Once again, can you explain the connection between your taxation paid in Hungary and your associated right to withdraw studies? Joe I think you are too stupid to decide which study or which university has a right to exist. At the time of the year 1200, free cities started to build schools, because the one and only schools were From/in churches, amen. … it had something to do with math. 1) If schools & tuition are government-funded, then taxpayers through their representatives have a right to say what should or should not exist. 2) CEU is of course not government funded, but it should still be subject to rules of the land. In this case, it is not. In Hungary there are no rights concerning this! How much tax do you pay in Hungary? Ceauşescu had every right on his side! Why do we have every right to criticize Hungary and the Hungarians? First they change the law in such a way that it perfectly fits to make the CEU, and only the CEU, illegal, then they say that the CEU is not obeying the law, then, after the CEU obliges to the new law, they simply refuse to sign a new agreement with them. Makes perfect sense. Think again before defending the government. This time I did not mention Constitutional government, nor individual liberties, only the commonsense of negotiating with the government, whenever somebody hope to achieve whatever ,but as it seems even that is a forbidden here on this so called “free press”. Yeah, extremism has no limits ! As usual, you are ill-informed and your comments are banal. This is the last comment of yours that I will permit to appear under this article. Why does not open in the US a University Mr Soros ? That way will not be any obstacles to keep the legal teaching activity in Hungary . It is very clear that they are illegaly active in Hungary. What’s your problem with that case ? Should be they “more equal” ? 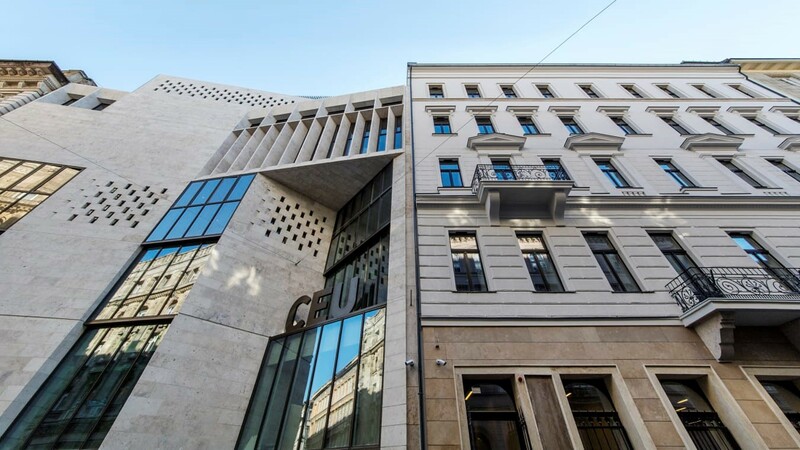 Central European University fulfilled the final condition set by the Orbán government by launching classes at its New York partner institute. Is there another “hidden” condition set for the CEU that only you and your fellow Orbanists are aware of? 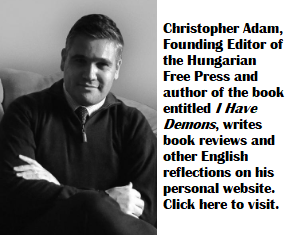 You did extensively lay out the facts to counter the never ending Fidesznik lies and misrepresentations, call it a day, they are totally impervious to evidence and logical argument. Orbàn is worse than the proverbial gypsy horse trader – there’s no too brazen lie he won’t say, he’ll waste everyone’s time for months and then brushing all aside, he just won’t sign the agreement with the NY State. Felcsùtia! If he/she/zee would have argued that the moon is made of cheese and greedy Orban will steal it and eat it, you would have still agreed with him. It is called ideological bias. What you are doing Joe is called submission or lie or stupidity … at least nothing that has anything to do with reality. I do wonder sometimes about the mental process taking place inside the typical Orbanist mind. Taking down their arguments is liking aiming the AK47 at the metaphorical fish in a barrel- I didn’t have to break sweat here proving their arguments against CEU were complete nonsense. But you know what is the seriously disturbing thing? Logic and reason no longer matter in Orban’s State. Viktor Bacsi tells some neni in Borsodi County that there is an Afghan rascal waiting just outside the village to steal her chickens and she will believe him. Tell me how we combat that kind of *thinking*? While she trembles in her bed every night worrying about the muslim hordes massing on the Hun/Serb border, her relatives and friends are literally dying in the real world because the regime believes that soccer stadium expansion is more important than investing in the health system. Again, how do we get her to look at what is exactly happening around her?